We all know that the smartphones have been evolving around the world with new technological interventions with time. Starting from the first huge device which can cover only a distance of about 6 miles to now, where everything can be done using a smartphone, right from making calls, sending Emails, browsing the internet and never the less paying the utility bills, there has been a paradigm shift. When it comes to smartphones, Android is the most widely used platform. Well, if you are an old Android user, but new to the world of Android Hacking and rooting, then you might need to know about Bootloader and rooting. Bootloader in literal technical term means a code that is executed before an OS starts to run. Each and every Android phones have a Bootloader that gives the instruction to the OS kernel to boot normally. 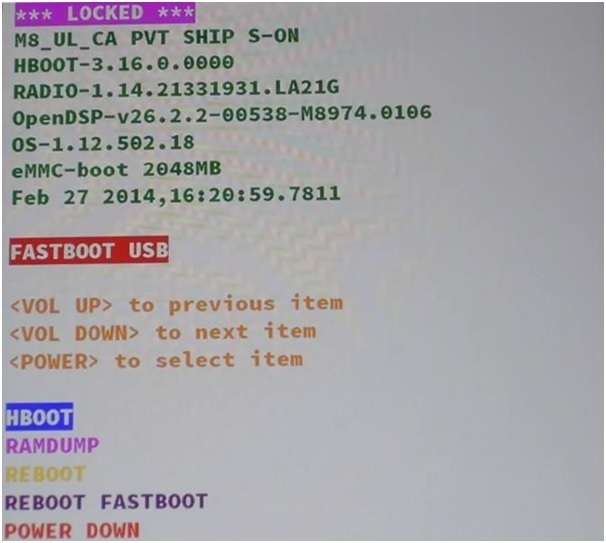 Let’s now understand how we can unlock Bootloader and root HTC One M8. To unleash the full potential of your device and gain full privileges, you need to dig through the whole system, not just the parts that your brand deems okay for you to mess up with. And here, to take your HTC one M8 to its extreme and unleash the full potential of your M8 you need to unlock the Bootloader first and root your device. This will allow you as a user to talk to your device directly and have better controls. While rooting gives access to lot many things to the user and authority to decide and give permissions, rooting the phone without knowing the proper way how to can brick the phone. So, it is very important to know the steps to root HTC One M8 before trying to root the device. To place your HTC one M8 in Fastboot mode plug in your device to the computer and then powering it down by holding both the power and volume down button until you see the below screen. Copy the code you get by excluding the first (bootloader) portions. Visit http://www.htcdev.com/ and login to your account. Once you have done the above step, get the code Emailed to you. Select the unlock Bootloader and move on. Select the HTC one M8 from the drop down list and then click on Begin unlock Bootloader. Click on agree to all terms and conditions and proceed to unlock. When the next page comes, scroll completely down and click on “Proceed to Step 5”. 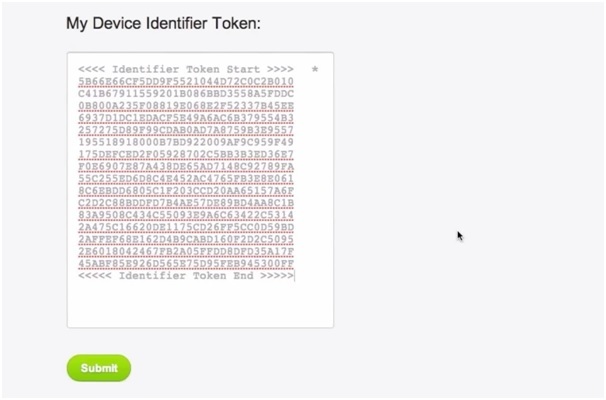 Now you need to paste the identifier token we have step 3 into the box “My Device Identifier Token” which is at the bottom and then click “Submit”. An Email will be sent to you with the unlock code. After you have received the email, you need to download and place the attachment on the desktop. 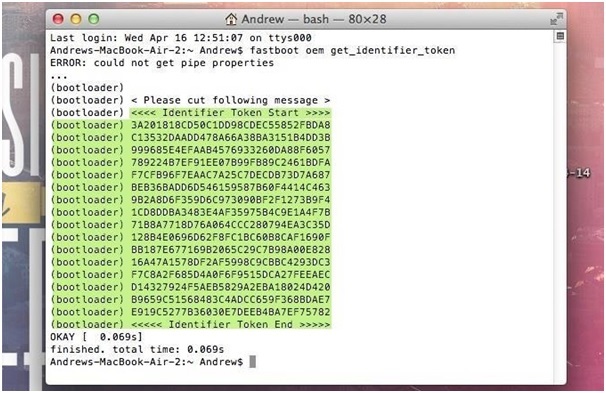 Note: Change the desktop/unlock_code.bin to the location of your code. Your phone (HTC ONE M8) will now ask you to unlock bootloader. Now, select ‘yes’ by using the volume up button and confirm your selection with the Power button. The phone will reboot and it’s done. Here we go!! Your device Bootloader is unlocked!! After the process is complete and the device is rebooted, set up the device again. Android Root from Wondershare dr.fone team is definitely one of the best one click root tool available in the market. It applies the most advanced technology in the industry and has the highest successful rate. Step 1: Download Dr. Fone on your PC and launch the tool. After Dr. Fone is launched, click on “More Tools” on the left column of your screen and select the Android Root from the selections shown. 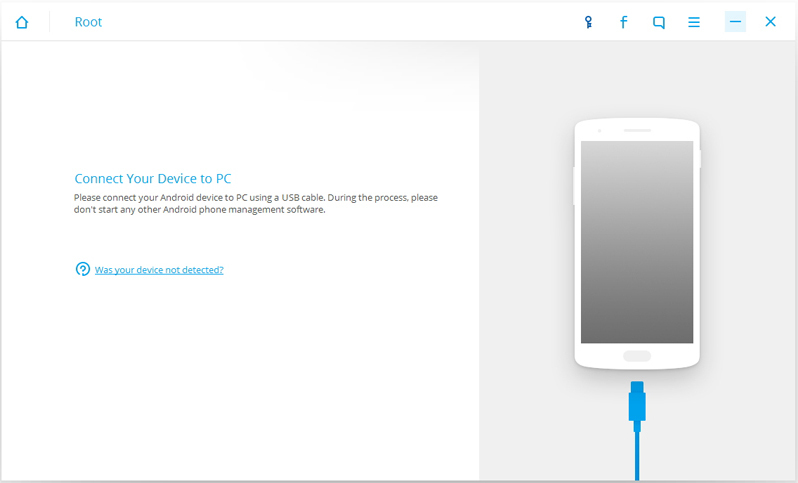 Connect the android device to the computer using an USB cable. It is important to check whether USB debugging mode is enabled. Enable USB debugging by going to “Developer Options” and if it is already enabled, Dr. Fone will automatically recognize and connect the device. 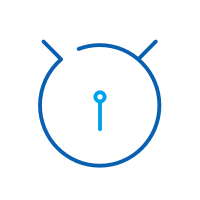 Once your device is connected to the computer, dr.fone will detect the android device automatically and find a solution to root your device. Now click on the start button to continue. After Dr. Fone has detected the device, the android device will be ready for rooting. Click on “Root Now” button to root your Android device with just one click. During this process of rooting, the android device will give a pop up message to confirm whether you would like proceed with the process of rooting. Click on confirm and it’s done. The tool will take few minutes before it completes the process of rooting. This is another service provider for rooting your Android phones. 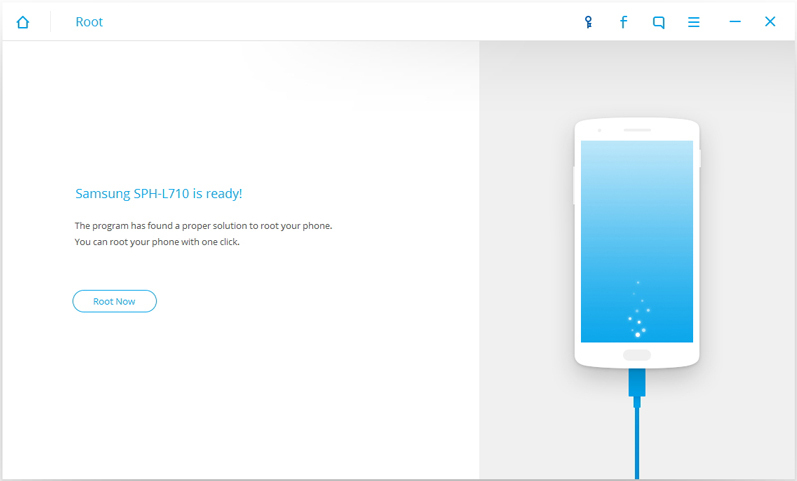 This offers Super-Charge and customizing the Android phone in less than 5 mins with easy and safety root to unlock your Android device. 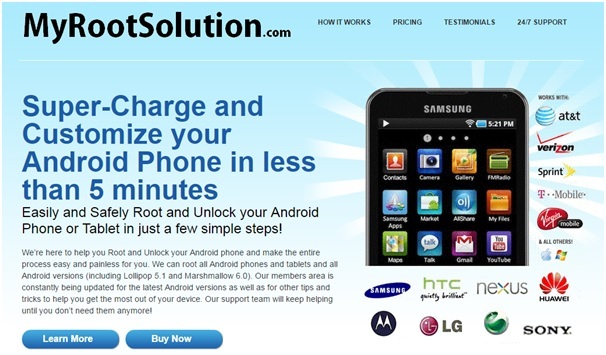 iRoot is one of the most reliable tools to root android devices. It comes with both PC version and Android version. 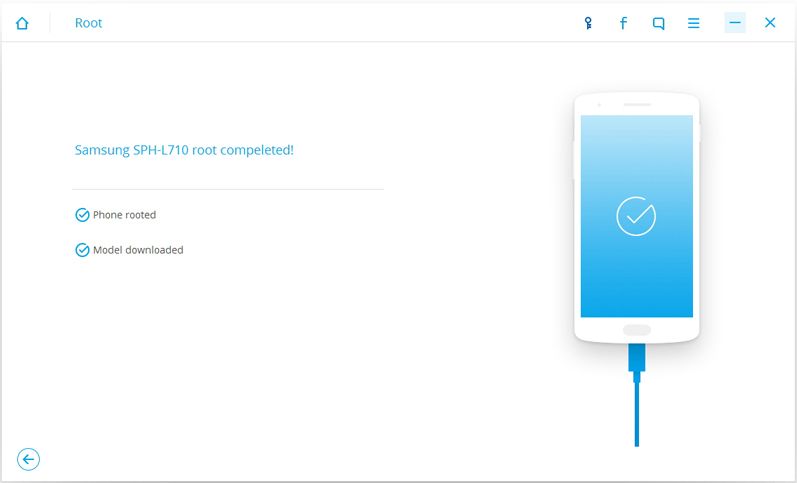 In PC version, iRoot can be installed on the PC that can be to root android devices with the help of computer. 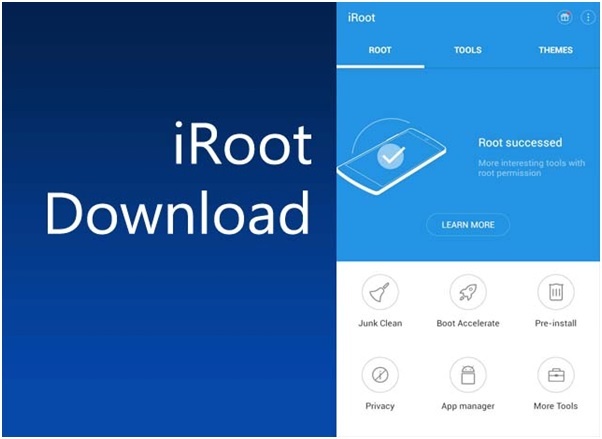 In android version, the tool has to be downloaded on the android device and the device can be rooted at one click after installing iRoot. KingoRoot is a Rooting app for android devices. With a Mission of “Do the best, give you more than you think” the KingoRoot is in the market for a quite a long time now. KingoRoot offers easiest and fastest Android rooting experience using for both the PC and APK version for almost all devices with highest success rate. Both PC version and apk version can be used to root android devices. The KingRoot apk has to be installed in the device and on one click, the device can be rooted. So, the aforesaid tools are some of the best tools which can be used to root HTC One M8. It is very important to follow the steps diligently as mentioned, non-compliance to which could brick the device. How to Root LG G4C(H525) in 5 Minutes? In this article, we will learn about root access and the method to be adopted to root an LG G4C(H525) smartphone in a matter of five minutes. 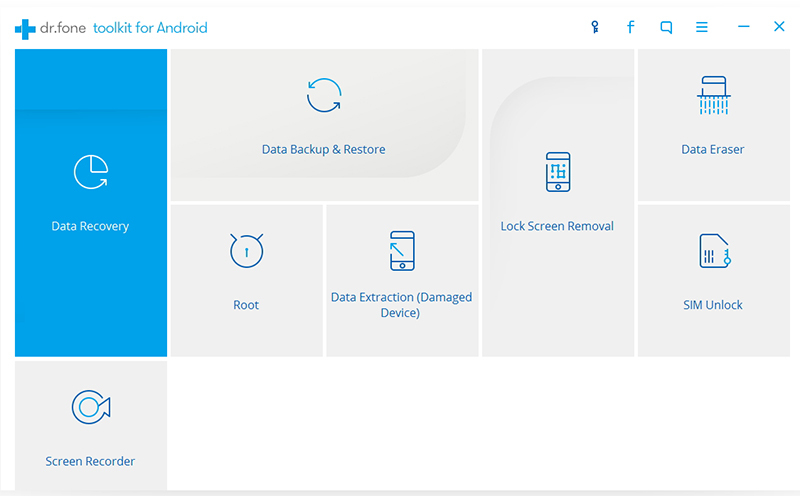 Learn how to root ZTE Zmax in this comprehensive article. We have provided two stepwise tutorials to root ZTE Zmax without any hassle. This article introduces you to the ultimate way of rooting Nexus 5X on Marshmallow and Nougat.